Gem companies, manufacturers, distributors and merchants differ in their methodologies, size, selling practices, target customers, prices, etc., but they all have a common goal – to sell as many of their gems at the best market prices. The selling medium is also diverse – some prefer face-to-face sales, some send their goods on consignment and some use the Internet to sell either via general marketplaces or through their own website. However, it is a bumpy road, as many experience returns of goods, since they were not what the buyers expected to receive, for example in terms of color. 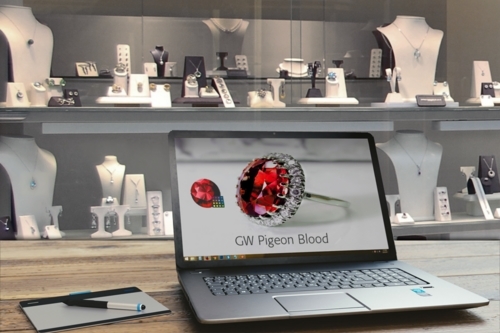 Gem Color Image: Adding a Gemewizard gem color image to each gem item listed in a company’s website that shows the exact color of the gem display, creating a WYSIWYG experience for the buyers, buying via the website, thus minimizing returns. The color image acts as the commitment of the company to the gem’s color adding a level of reliability. Color Search Engine: Incorporate Gemewizard’s state-of-the-art color search engine into the company’s website to enable precise color search. Color Mapping and Standardization: A service that enables the standardization of color throughout the organization, so that all stakeholders, including the organization’s customers, would communicate using the same color language. This includes the mapping of all valid colors for the various gem types and determining the colors to avoid and naming them with the organization’s commercial grade names. Other services can be offered according to the level of standardization required by the organization. Other services are also offered. For more information, click here. GemePrice™, to obtain up-to-date pricing information of colored diamonds, diamonds, gemstones and jewelry based on actual prices of gems on sale in the Internet at any given time. The prices can be presented as wholesale prices, retail prices or marked-up prices with self-determined markup levels. GemePro™, to enable precise communication, grading, analysis and documentation of color in gems for the organization.